Juicing separates the juice from the pulp in produce, but the best fiber is still in that glass. 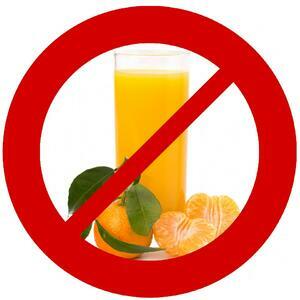 Juice has gotten a bad rap from some people recently, claiming it is nutritionally similar to sugar water. A lot of this criticism is aimed at store bought juices and "juice drinks", which can contain as little as 10% juice and are typically empty of most nutrients as it has been flash pasteurized. Fresh cold-pressed juice is a different creature entirely, keeping all the nutrients of the produce but in a more easily digested form, especially when consumed soon after juicing and on an empty stomach. Anyone who has juiced carrots knows they make a lot of pulp. That pulp is called insoluble fiber. Insoluble means it won't dissolve in water. This is what most people think of when they hear the word "fiber." It is the roughage made up of undigestible plant fiber. However, these same carrots contain about the same amount of soluble fiber mixed into the juice. Soluble fiber is fiber that dissolves in water, forming a sort of gel. Both types of fiber are beneficial. Insoluble fiber adds bulk during digestion, allowing more regular bowel movements. Soluble fiber absorbs cholesterol from the intestines, as well as acting as a prebiotic food for beneficial intestinal bacteria. Because of its beneficial effects on cholesterol and digestion, the U.S. Department of Health and Human Services recommends consuming up to 25 grams of soluble fiber every day. Fruits and vegetables contain varying amounts of soluble and insoluble fiber. 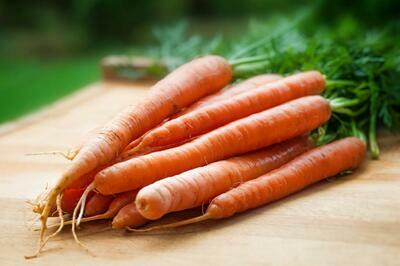 For example, a cup of raw carrots contains 1.7 grams of soluble fiber and 1.6 grams of insoluble fiber. Juicing the carrots will remove the insoluble fiber (the pulp) but the soluble fiber remains in the juice. Oranges are even better, with one orange containing 2 grams of soluble fiber. 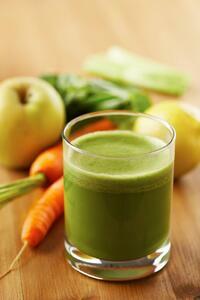 My standard daily juice recipe consists of 1kg carrots, 1 apple, and one 250g bag of spinach. The resulting two glasses of juice contains about 14 grams of soluble fiber. A glass of fresh-squeezed orange juice from 3 oranges contains 6 grams of soluble fiber. 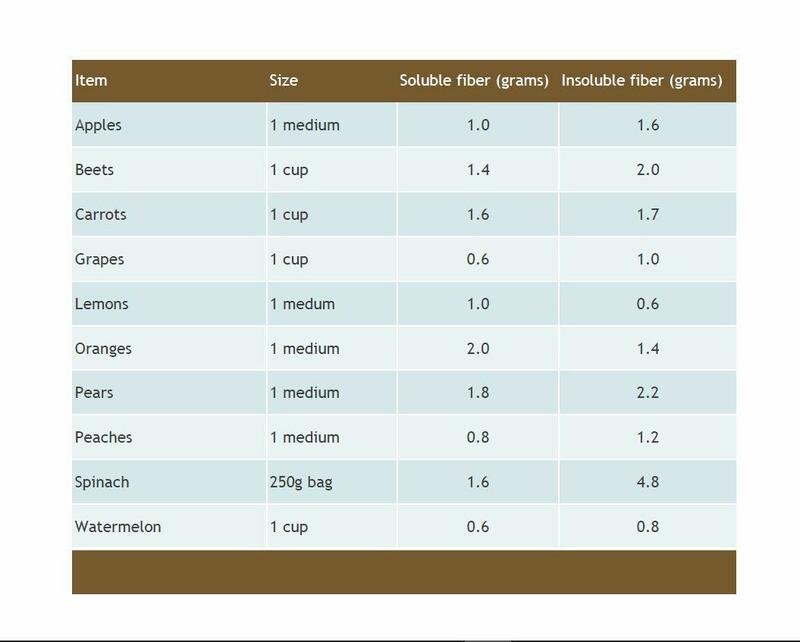 See the list below for the fiber contents of some commonly juiced fruits and vegetables. Freshly made juice is always better than what you buy in the store. But if you want to maximize the nutrition, make sure to use a slow auger juicer. Because they press the produce slowly and firmly instead of cutting it at high speeds, the important phytonutrients aren't heated like in a high-speed juicer or blender. 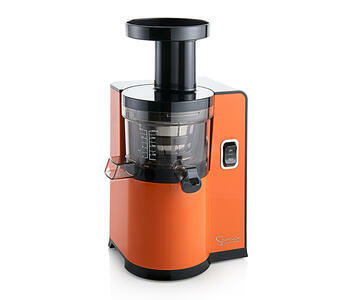 Some good juicers to consider are the Sana 808 which has a high yield and clear juice, the Omega MMV which is easy to use and has a very wide feeding chute, and the Sana 707 which is the most versatile juicer we've seen. Happy juicing!